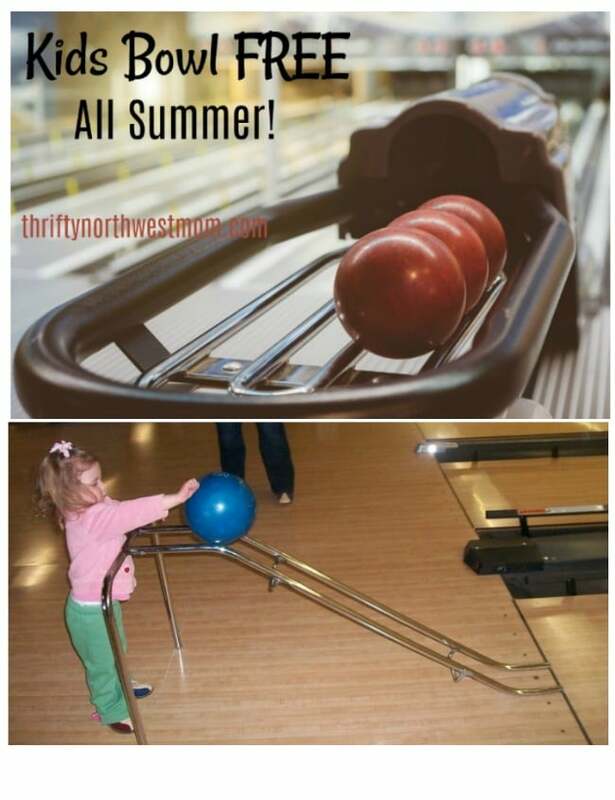 Kids Bowl Free All Summer!! Registration is Now Open! Have you heard of the Kids Bowl Free program? It is one of our favorite summer programs, and it is back again this year – Kids Bowl Free is once again offering 2 FREE bowling games per child for every day this summer. This program is available for 2 FREE games per day all summer for up to 6 children per family. They work with participating bowling centers all over the country to provide this free program for families & it’s such a great opportunity to spend some time together with the whole family on a day when you need a break from the sun or need an indoor activity for a rainy day. The Kids Bowl Free program (find details here) will be starting up at different times depending on which location you choose. We checked a handful of locations, and some start as early as April, but most start around May 1st. I just checked my local Daffodil Bowl in Puyallup and it looks like the program runs from May 14th- September 4th. But that will vary by location, so make sure to check your location to see when it will start up. How does the Kids Bowl Free – free bowling summer program work? Head to the Kids Bowl Free website here & register your kids for the program. Even if you have been signed up each year, you will need to re-register them for the free bowling passes again this year. You will select the bowling alley nearest to you and click on that, and that will take you to the sign up page. You can find the nearest location by clicking on your state to see the participating location near you & when they will start the program. You will then start receiving emails at the start of the week (I think I always received them on Sundays) & you can print off the coupons to head into the bowling alley to get your 2 FREE games per child. Shoe rentals work differently depending on the location. You will need to pay for shoe rental at most Wa. locations, unless you have your own bowling shoes for your kids (maybe check thrifty stores to get your own and save here). And if you want to bowl with them, you will need to pay for your admission & shoes. Kids Bowl Free is also offering their special Family Pass again this year, which is a fantastic deal if you think you’ll be hitting up the bowling alley several times this summer with your kids’ free passes. You pay a set fee for up to 4 family members to get 2 FREE bowling games a day all summer, too (so you could have your teens on the pass, too). Definitely a good deal if you think you’ll be bowling a few times this summer with your kids! How many of you have taken advantage of the Kids Bowl Free program the past few years & what did you all think of it? DIY Summer Outdoor Games on a Budget! Are the rental shoes included in the family pass? I clicked on the link but wasn’t able to find the answer. Thanks!